Elf-Paca Meadows LLC announces the arrival of Aussie .38 Special to New Hampshire. If you are interested in offspring of Aussie .38 Special, please contact us. 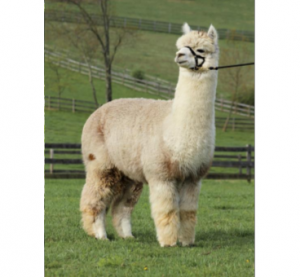 We offer both females bred to .38 Special or his cria once they are born. If you want to visit us or have questions about alpacas, Please contact the New Hampshire Alpaca experts at Elf-Paca Meadows. 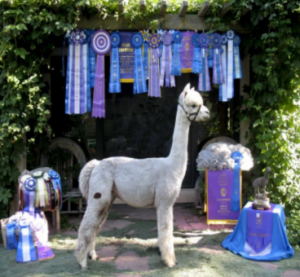 « Spring 2015 Alpaca Events	» See how you can add Aussie .38 Special genetics to your herd!